WINNIPEG -- Angela Durand sits outside her camper which is decorated to look just like the yellow submarine in the well-known song by The Beatles. In a lawn chair beside the blue-and-yellow 1968 camper painted with pictures of John, Paul, George and Ringo -- a little yellow propeller attached to the back -- Durand strums her ukulele and sings about the community that's developed around the small moulded fibreglass Boler. "I bought it. Then I did research on the Boler. Then I became addicted to Bolers," she said. 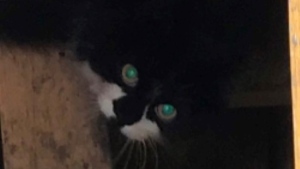 "I love it." 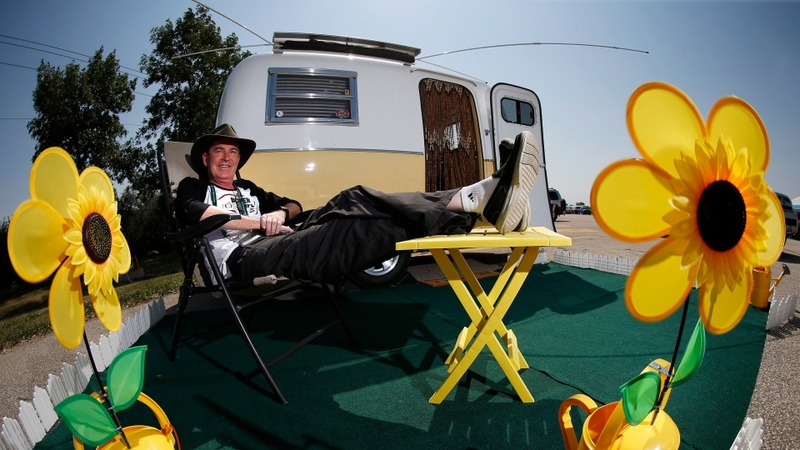 The Boler camper became famous on highways throughout North America as the "egg on wheels," said event organizer Ian Giles. About 10,000 of the ultralight fibreglass trailers were manufactured and sold between 1968 and 1988. "What is unique about them is most of them have no wood inside of them at all, so there is nothing to rot. They have no seams, so there is no possibility of leaks," he said. "They are like a boat -- a fibreglass boat -- so you can repair them. That is why so many of them are still around today." Giles said it's not just the way the camper is built that makes it special. It's the community it inspires. He picked up his Boler, named Buttercup, eight years ago because it fit his and his wife's camping needs. He wanted to make a couple of changes to his camper, but struggled finding fixes online or anywhere in Calgary where he lives. Giles created a website to share what he'd learned about modifying his Boler and soon enthusiasts from across North America were reaching out with tips or asking questions. It quickly became a large and entertaining online community. A plan hatched to get together. "When you buy one of these trailers, you are almost joining a sorority," he said. "We are all very similar. Each of us want to make our trailer our own. We all have phenomenal memories of camping in these units and the friends we made." All of the 450 campers parked at Red River Exhibition Park for the weekend are either an original Boler or a trailer inspired by the Boler's design. Some still have the original paint job but others have been redesigned with bright colours and flowers. There's a rumour swirling that No. 3 -- the third Boler ever made -- is going to arrive. Giles said he figures it's the largest gathering of moulded fibreglass trailers in history. J.J. McColm's Boler-Chevy combo unit called 'C' Plus catches the eye of everyone passing by. The Lloydminster, Alta., resident bought the 1975 Boler to travel to car shows with his 1938 Chevy Master Sedan. But soon the little trailer was stealing the limelight. "The car without the trailer, people walk right by it. With the trailer, they tend to walk right to it." The Boler's birthday party includes demonstrations from experts, the first 3D-printed trailer and musical acts every night. The camp is open to the public on Saturday. Bolers have been about creating memories for the last 50 years, Giles said. That's why campers from as far away as Texas, California, Newfoundland, Yukon and Vancouver Island have made the journey for the party. 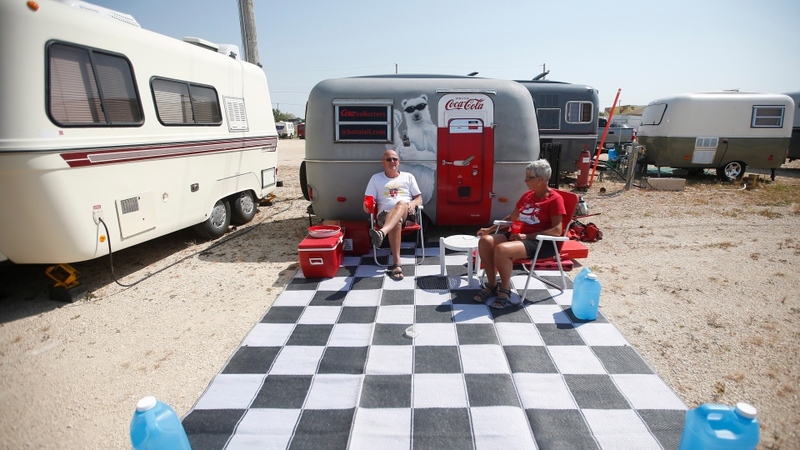 "When you park in a campground, you have people coming up to you telling you stories about when they were youngsters and a relative or friend had a Boler," he said. "And they are still making memories today."